I am very exited about this new piece that I recently installed. It is a commission for a private collector. 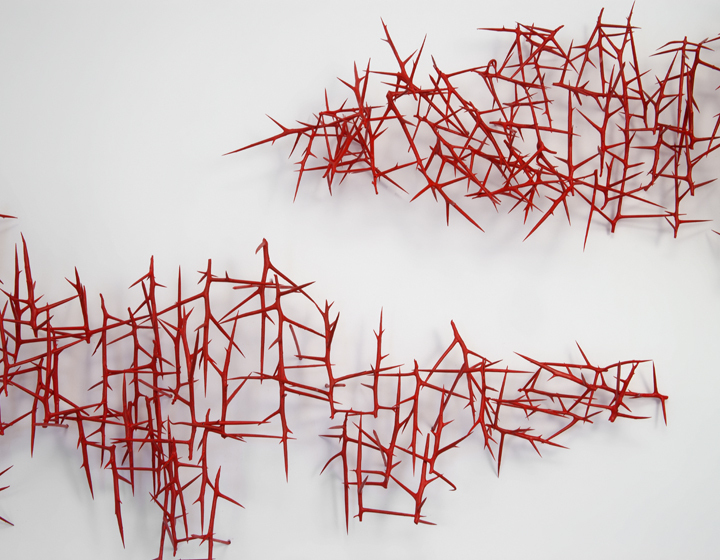 It is made of honey locust thorns and is approximately 9′ x 30″. I think of this as a kind of landscape informed by my artist residency at Youkobo in Tokyo.